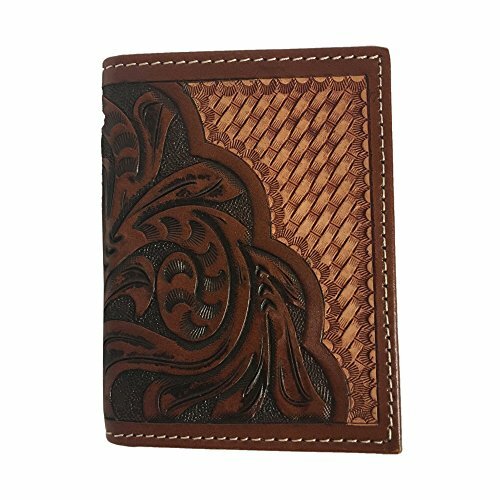 This Wallet features a black and brown cross print. 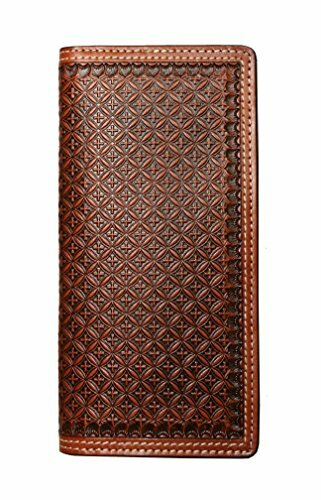 It is constructed of leather and features 13 credit card slots, 4 cash slots and an ID slot. Made in China. 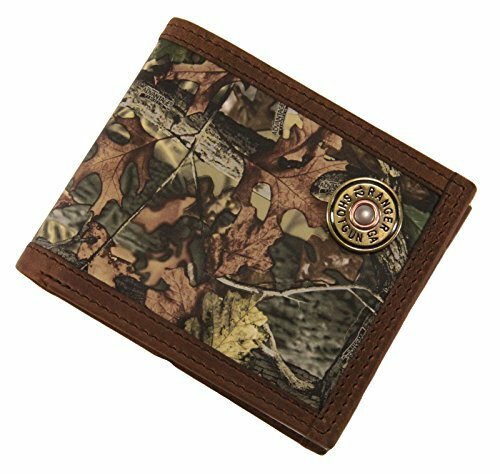 This Ranger Belt Company Wallet features a bi-fold style with camouflage print. Made in China. 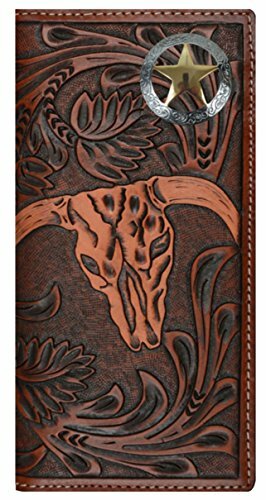 3D Belt Company, genuine, hand-tooled leather Cow Skull Wallet. The Perfect Gift. Just like cows, color will vary and have slight natural imperfections. The listed price in the pictures reflect the base wallet cost, we do charge a little more for our conchos and labor. 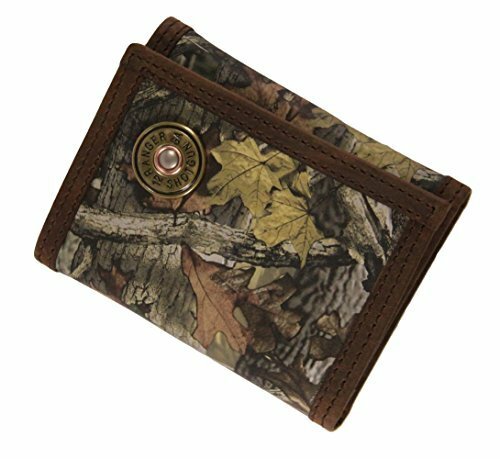 This Ranger Belt Company Wallet features a tri-fold style with camouflage print. Made in China. 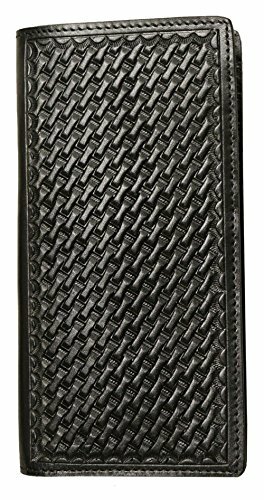 This textured black wallet brings a flash of class to any outfit and will hold your cards and cash securely! Color: black Pockets: 8 card pockets, clear section, check pocket. 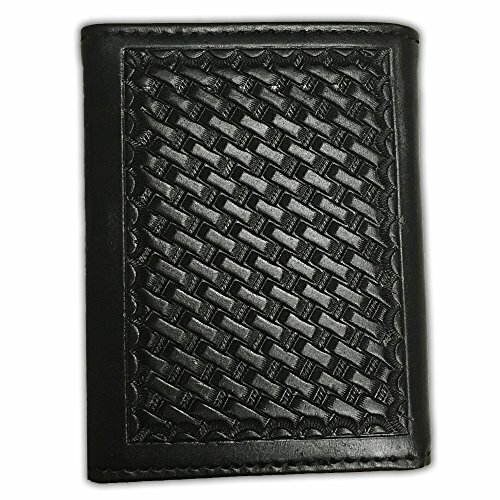 Dimensions: 4.25" x 3.5"
This Wallet is constructed of leather with black basket-weave stitching. It features 13 credit card slots, 4 cash slits, and 1 ID slot. Made in China. Copyright © Wholesalion.com 2019 - The Best Prices On Ranger Belt Company Online.